With courtesy of our Sponsor, We have a 5 licenses for "Internet Security" - each worth €25. Today, viruses make only less than 1% of total online threats. Ransomware and Potentially Unwanted Programs are the top dangers on the Internet. If you are using a computer that frequently connects to the Internet via third party networks, a software firewall is worth the investment. 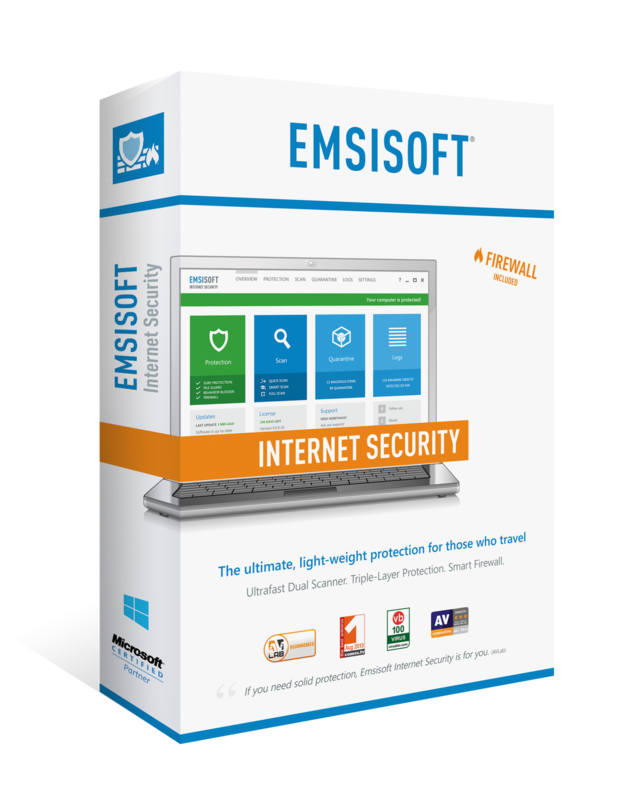 Emsisoft Internet Security adds a smart firewall component to Emsisoft‘s proven dual scanner and real-time protection technology, which means it can protect you from malware and keep you invisible to network intruders. It hides all the open ports on your computer effectively reducing the surface area and success rate of network attacks. This makes Emsisoft Internet Security a perfect fit for home users and small businesses, who frequently travel beyond their home network and who want something simple-yet-intelligent that will keep their information secure, no matter where they go. Forum: https://www.neowin.net/forum/topic/1318488-unofficial-neowin-member-lounge/?do=findComment&comment=597776898 (you will need to be a registered user to see the topic). THANKS A LOT FOR THIS GIVEAWAY!!!!!!!!! !